Could not understand what they were getting at here when I read that. Moreover, will a N311 be created or left as N11? What I think frustrates me most with these changes is they're playing with the same routes - ones which have changed in the past couple of years (242, 388, 22 etc.). Are they essentially admitting that what they did last time wasn't enough or didn't work? Can't help but feel it will be confusing for regular passengers if a bus route keeps changing. Renumbering for the sake of it (ie N11 > N311) is proof for me that any operator has slightly lost the plot! "Routes 26, 48 and 55 and all run between London Bridget to Hackney Road"
Spelling and knowledge errors here! In a similar vein the document also says the 55 serves Shoreditch High Street. It doesn't. It continues along Old Street in both directions. There is then the truly bland statement that if you want to reach London Bridge you ONLY have to walk 300 metres down Shoreditch High St to catch the 149, 35 or 47 (if you were stupid enough not to change to a 26 on Hackney Rd). I wonder how many TfL planners have had to lug luggage or walk with a stick or be on crutches or have screaming kids in tow or be laden with shopping bags? They really have no idea about what a bus network is supposed to do or what kinds of people may wish to use it. These comments from TfL are bordering on contemptuous. Sorry but these nonsensical plans deserve a good load of p*ss taking. I can't say I'm surprised the 343's now consulted to be extended to Aldgate, though I do admit that I thought it was going to replace the section of the 40 that's to be withdrawn via Fenchurch Street. Looks like that small section what have any bus service at or as a result. I really do not understand the extension of the 343 to Aldgate, it makes no sense. 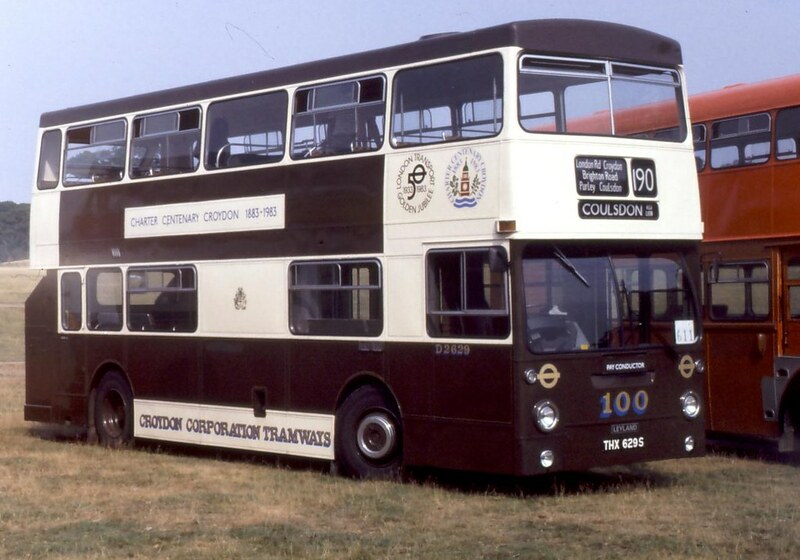 It would be a 78a in old money now if they extend it to Aldgate. I would also be intrested to see what the 343 would do at Aldgate if it would use the bus station or end in Houndsditch as per 40 due to the stupid layout to the exit of the bus station and so many banned left or right turn in the area. -We are proposing to extend route 343 from Tooley Street to Aldgate via Tower Bridge. This retains a connection between Aldgate and Elephant & Castle, so the connection to Elephant & Castle for route 40 passengers is retained. This map shows only one borough has an overall increase in passengers. Strange Barking & Dagenham is so low compared to Havering. Presumably the 343 will use the stand space vacated by the 40? Although why not just leave the 40 as it is and reroute the 343 to Clerkenwell Green instead? *Looks like playtime has started on this thread! I need to read it again properly as I have only scanned it, but I think there may be a mistake in the Equalities Impact Assessment concerning the 53. I'll look again when I have more time. Interesting that Croydon is the onl borough that has down significant growth, yet it is that end of the 68 corridor where the cuts are being made! Does this mean the map is also wrong, as it shows Hillingdon as 0%. According to the key it should therefore be yellow. Routes 48 and 55 parallel each other between Lea Bridge Road, Bakers Arms and Shoreditch High Street. Route 26 parallels route 48 between Hackney, Well Street and Bishopsgate, and route 55 between Hackney, Well Street and Shoreditch High Street. Across routes 26, 48 and 55 up to 18.1 buses per hour are required in the morning peak hour towards central London, 22 are scheduled. During the evening peak across the same routes, 16.2 buses per hour are required traveling towards Hackney Central, 22 buses per hour are provided. Across routes 48 and 55, a maximum of 8.3 buses per hour are required in the morning peak towards central London between Hackney Town Hall and Lea Bridge, 19 are scheduled. During the evening peak up to 7.4 buses per hour are required towards Lea Bridge Road on routes 48 and 55, currently 16 buses per hour are scheduled. At the busiest point, nearly 60 per cent of all customers arrive and depart using route 55 during the busiest hour, making it the most popular service. 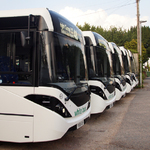 The remaining 40 per cent of customers are evenly split between routes 26 and 48. Route 48 is the only service that connects Walthamstow Central to central London via Bakers Arms. This generates nearly 5,000 direct customer journeys between Walthamstow Central and Shoreditch High Street. The busiest point on route 26 is Hackney Road, Queensbridge Road towards Waterloo in the morning peak, where 4.6 buses are required to meet demand and six buses are scheduled. Route 26 experienced a drop in usage across all days over since 2013/14 with an 18 per cent decrease on weekdays, and a nine per cent decrease on weekends. The busiest point on route 48 is Hackney Road, Queensbridge Road towards Walthamstow in the evening peak, where five buses per hour are required to meet demand, and six are scheduled. Since 2013/14 usage on route 48 has dropped by 21 per cent on weekdays, 17 per cent on Saturdays and 13 per cent on Sundays. With the exception of 2016/17 where usage was broadly stable, there have been consistent declines in usage. The busiest point on route 55 is Hackney Road, Queensbridge Road towards Oxford Street in the morning peak, where 11.2 buses per hour are required to meet demand, 12 buses per hour are scheduled. Our proposals provide a total of 21 buses per hour on Hackney Road. 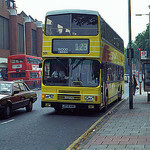 They would retain a bus service between Walthamstow Central and Shoreditch High Street, with adequate capacity. These proposals would releases stand space at Leyton Green for future network planning and resilience. If implemented, these proposals would realise a net savings of £2,662,000 per annum. A total of 2,300 of the route 48 customers originate from north of Hackney Central Station and the remaining 1,700 originate between Hackney Town Hall and Cambridge Heath Station. Passengers wishing to travel towards London Bridge would need to walk 200 metres along Shoreditch High Street and interchange using routes 35, 47 or 149. So for some insane reason Liv St to Victoria is 11 / N311, Oxford Circus to Victoria via Mayfair is 311/N22 and you can travel across London on the 19 axis at night but not during the day.